Why should I become a web hosting reseller? Just think about it. Every day thousands of websites are added to the worldwide web. Today there are millions upon millions of websites, and millions more are added each year. And guess what? EVERY single one of those websites has to have a host! If they didn't have a host, nobody would be able to see their website. As you can already imagine, the web hosting business is a hugely profitable and rapidly growing industry. There are already thousands of web hosts; but don't think for a moment that there are already too many. There are literally so many websites being added to the web each day that if you could even capture 1/100th of 1 percent you could be rich! Most web hosting companies start by reselling web space provided by other companies through web hosting reseller programs. Especially if you are not experienced with running a web hosting company, it's best to start your web hosting business by purchasing webspace from a our company which offers affordable reseller solutions for you. What kind of experience do I need so I can support my customers? It's good to have a little tech expertise in order to be able to help your customers with their basic needs like answering their questions on setup and administration of their hosting account package that you provide for them. Luckily, most of this is stuff involves the use of a control panel, and that's something that you (and most of your customers) should be able to learn with reasonable ease. If you already know how to use cPanel for your own domain, you're at least halfway there. WHM is just the management side of cPanel, and it uses the same user-friendly type of interface that you're used to. If you have the ability to learn, NO EXPERIENCE IS NEEDED. Additionally, you will have access to all the resources on our support page, such as the helpdesk, and plenty of good documentation on how to use cPanel and WHM. That's one of the best parts about being a reseller--we are there to help you if you run into a snag. In fact, we feel that our resellers are the most important part of our business and you will be treated as such! Will my customers know I'm a reseller? Only if you tell them. We will remain invisible to your customers. All of our name servers are anonymous, meaning there is no website set up on those domains. We will never contact your customers. What kind of control panel will I get? One of the most important factors to consider is the control panel. There are many different control panels used by web hosts. What you want is a control panel that is easy for you to use AND easy for your customers to use. 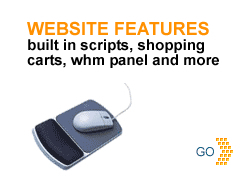 Our control panel (cPanel/WHM) is widely considered to be the best control panel available. It has a sleek, user-friendly interface while providing all the powerful tools that you and your customers need. For more information about cPanel you can go to cpanel.net. Yes it does, especially if you work hard at it, develop an attractive package and market yourself well. Think about this: each day thousands of websites are added to the world wide web. Every single one of those websites needs to have a web host! You can certainly sign up for a reseller account and start making some extra income even if you have no plan in mind; however, if you are serious about the business and you want to make it a job, you should develop some sort of business plan. It doesn't have to be a formal plan; you're not going to present it to the bank for a loan. A couple of pages detailing the general direction will help a lot. Price your plans right! Don't go for "I'm going to be the cheapest web hosting company around". You will not be able to sustain it. Also, try to include all your costs, including your time. And enjoy your business! If you don't enjoy it, your customers will feel it, and they won't be happy either. Most examples you see are best-case scenarios (for example 10 sales per day), which in reality rarely happens. Most calculations do not consider the number of customers that quit their service, nor do they take into account marketing expenses such as advertising. Of course you are only limited by the amount of time and effort you want to invest in your business. We know of resellers making $15,000 - $20,000 per month and more! Here is a very realistic projection of how you can make $2,000 per month net profit within one year of signing up. SALES PER WEEK: Let's assume six sales per week. Three sales at $10/month. Three sales at $5/month. This is a realistic possibility using sensibly low sales prices, and less than one sale per day. CHURN: We will assume that one of your $10 customers quits each month, and one of your $5 customers quits each month. Once again, this is a realistic number. 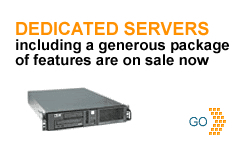 HOSTING COSTS: For this example we will use our $39.95/month unlimited reseller account. We will also assume a generous monthly marketing budget of $120.05 to cover advertising, Paypal fees, etc. Most resellers make much more than this, and this is definitely a work at home business perfect for a stay at home mom or dad. Check out the INTEGRITYRESELLER.COM for half price reseller hosting packages!